Main Street Winding Hole is a minor waterways place minor waterways place place on the waterways major waterways place village town city on the Chesterfield Canal (Retford to the Trent) between Wiseton Top Bridge No 70 (3 miles and 3¾ furlongs to the north) and West Retford Lock No 58 (Wharf Bridge) (4 miles and 2¾ furlongs and 2 locks to the southwest). The nearest place in the direction of Wiseton Top Bridge No 70 is Wheatley Road Aqueduct; 8 furlongs away. 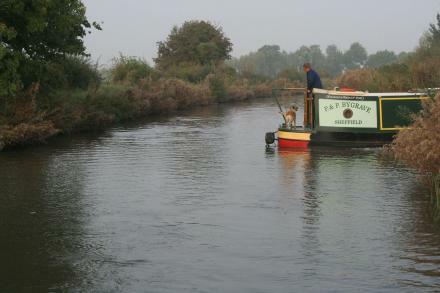 The nearest place in the direction of West Retford Lock No 58 is Hayton Low Bridge No 66; 2¼ furlongs away. Lansdowne Industrial Estate, Burntleys Road, Hayton, East Retford, DN22 9LG — 419 yards to the south. Hayton, Nottingham — 1369 yards to the south. 919 yards to the south. The Little House Down The Lane, Hayton, DN22 — 1369 yards to the south. Hayton, East Retford, DN22 9LH — 1369 yards to the south. Chapel Lodge, Main Street, Hayton, East Retford, DN22 9LH — 1417 yards to the south. Main Street, Hayton, East Retford, DN22 9LF — 1417 yards to the south. 24 Church Lane, Clayworth, Askham, DN229 — 397 yards to the south. 97 main street, hayton, East Retford, DN22 9LF — 474 yards to the south. 97 Main Street, Hayton, East Retford, DN22 9LF — 475 yards to the south. 3 Church Lane, East Retford, DN22 9LD — 1369 yards to the south. Blossom House Main St, Hayton, East Retford, DN22 9LF — 989 yards to the south. 63 Main Street, Hayton, Askham, DN229 — 981 yards to the south. Hayton — 887 yards to the south. Main Street Hayton, East Retford, DN22 9LH — 855 yards to the south. Hayton Castle Farm, East Retford, DN22 9BB — 1476 yards to the northeast.